As Russian officials blame the West for ongoing unrest in Armenia, analysts say that Moscow only has itself to blame for its loss of regional influence. As Russian officials scramble to heap blame on Western NGOs for anti-government protests that have swept the Armenian capital in recent days, analysts argued that Moscow only has itself to blame for its loss of influence in the former Soviet space. More specifically, Russia has lost its regional grip due to the failure of its soft power policy, which created a vision of progress, but produced no tangible result, experts told The Moscow Times. As if admitting defeat, the head of Kremlin-backed think tank the Institute for Democracy and Cooperation (IDC) has announced the imminent closure of the organization’s New York branch, the Gazeta.ru news site reported Sunday. IDC New York director Andranik Migranyan said the think tank’s Paris branch is facing difficulties staying afloat due to decreased funding from Russian companies, the same report said. But as its own soft power initiative fails, Moscow is gearing up to crack down on foreign NGOs. On Friday, the Federation Council is set to compile a list of such organizations that should be banned from working on Russian soil. 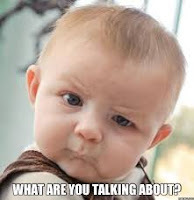 This disconnect owes to the fact that Russian officials lack a working comprehension of what soft power is, experts told The Moscow Times. Rather than fostering fresh, young leaders, working across the political spectrum and championing modern values, Moscow works only with a select group of aging elites and hopes Russia’s historic achievements will remain sufficiently compelling to keep the former Soviet population loyal to Moscow, they said. “Russia appeals to archaic traditions and is unable to compete with the modernist culture of the West,” said Alexei Makarkin, deputy head of Moscow-based think tank the Center for Political Technologies. “Our conservative values do not resonate with young people,” Makarkin said in a phone interview, explaining why Russia has lost the fight for the hearts and minds of youth across the former Soviet space. Pavel Gubarev, a prominent figure in eastern Ukraine’s self-proclaimed Donetsk People’s Republic, lamented in an interview Tuesday with nationalist website Russian People’s Line that in contrast with their American counterparts, Russian organizations tend to veer toward corruption. As anger over energy price hikes boiled over into anti-government protests in Yerevan this month, Russian lawmakers and pundits were quick to assert that the civil unrest had been orchestrated by the United States in a bid to steer yet another former Soviet state out of Moscow’s orbit. Konstantin Kosachyov, head of the Federation Council’s international relations committee, told state-run news channel Vesti-24 last week that perhaps foreign NGOs were to blame. “I don’t exclude the theory that foreign nongovernmental organizations may be behind these events. … We understand well that in the absence of prophylactic measures, such turmoil could also happen in our country,” said Kosachyov. Prior to his stint as a senator, Kosachyov served head of Rossotrudnichestvo, the government agency tasked with promoting Russia’s image abroad, from 2012 to 2014. Lawmakers and state media outlets alike have readily echoed Kosachyov’s interpretation of the events that continue to grip Armenia, a landlocked country of 3.2 million people in the Southern Caucasus. A doctored image of an Armenian protester holding a Ukrainian flag has been widely circulated by Russian media outlets, which have seized the opportunity to draw parallels with the mass protests that toppled Ukraine’s former Kremlin-loyal leader Viktor Yanukovych last year, the Kommersant daily newspaper reported last week. Official Moscow has frequently and fervently accused the West of having instigated both the Ukrainian upheaval, and the revolution in Georgia that led to the ouster of its former leader Eduard Shevardnadze in 2003. One of the measures the Kremlin hopes will deter a revolutionary scenario on its own turf will rear its head Friday, when senators meet to draft the so-called “patriotic stop-list,” which will include foreign organizations that could prove threatening to Russia, Gazeta.ru reported Monday. The list will then be passed on to the Prosecutor General’s Office and the Foreign Ministry, which have been tasked with selecting organizations to be included on the final version of the list. These are the consequences of a law signed in May by President Vladimir Putin banning the activities of “undesirable” foreign organizations determined to pose a threat to the country’s security and stability. Citing Russian government sources, Gazeta.ru reported that more than 20 foreign NGOs will feature on this list, including such global human rights powerhouses as Amnesty International, Human Rights Watch and Freedom House. At present, all of these organizations are fully functioning on Russian soil, and despite this, Putin’s approval rating soared to a record shattering 89 percent this month. Still, Russian officials continue to view foreign NGOs as tools that can be used to foment unrest in the country. Putin’s approval rating was revealed by the independent Levada Center, which polled 1,600 people across Russia, and had a margin of error not exceeding 3.4 percent. Putin likewise defended an earlier crackdown on civil society during a meeting last week with members of the Civic Chamber, where he said the adoption of a 2012 law that required all foreign-funded NGOs engaged in loosely defined political activity to accept the label of “foreign agents” was justified. This law has been lambasted by Russian NGOs, who see it as an effort to stifle their work in the country. “We introduced the ‘foreign agent’ concept to prevent foreign states from using such instruments to meddle in our domestic affairs,” Putin said at the meeting. Despite its understanding that NGOs and other instruments — such as media outlets — can be used to exert soft power and destabilize states, Russia has failed to assert its own influence in the former Soviet states, pundits said. According to analysts, the tendency of Russian officials to view every popular uprising through the prism of foreign-orchestrated color revolutions reflects the state’s deep-seated fear of a such a coup on its own territory. “The Kremlin still thinks that it is sufficient to simply work with the ruling elites, and is not concerned about what people in [other] countries think,” said Vasily Gatov, visiting fellow at the University of Southern California’s Annenberg Center on Communication Leadership and Policy. “Also, Russia still thinks that the Soviet legacy will be sufficient to garner popularity. But in contrast with the Soviet Union, Russia does not offer any grand idea apart from ‘let’s stick together to survive in this cruel world,’” Gatov said in written comments. In recent years Russia has poured significant resources into programs aimed at bolstering its image around the world. Rossotrudnichestvo, Kosachyov’s former stomping ground, was established in 2008. 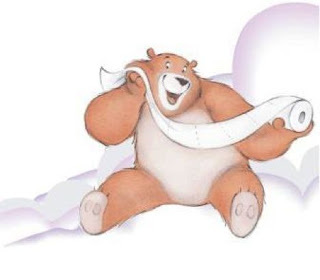 The agency is funded by Russia’s foreign policy budget. This year, 2.34 billion rubles ($42 million) have been earmarked for its diverse array of activities, according to the program’s text on the Foreign Ministry’s website. The program lists numerous benchmarks for the evaluation of its effectiveness. Among these are an increase in the number of Rossotrudnichestvo’s representative offices and an increase in the number of Russia-themed cultural events around the world. The benchmarks measure the desired results in percentages, units and numbers of people. According to its website, the agency hosts cultural events abroad, supports Russians around the globe and promotes Russian language and culture. It also invites foreign journalists, politicians and civil society members to Russia via its New Generation program. More than 8,000 people from 80 countries have visited Russia through the program since 2011, Kommersant reported this month. The program’s aim is to “widen the circle of active young foreigners who are constructive and positive about Russia,” according to the agency’s website. But to come to Russia under this program, young people must be able to demonstrate a pre-existing interest in “acquiring true information about today’s Russia,” Lyubov Glebova, head of Rossotrudnichestvo, told Kommersant. In 2013, the Federal Bureau of Investigation voiced concern that the Russian government was using this program as a means of recruiting foreign spies, The Washington Post reported at the time. The Russian government has denied these claims. Regardless of whether these charges are true, the program appears thus far to have had little impact on popular attitudes toward Russia abroad. Only 26 percent of respondents in eight NATO countries told U.S.-based pollster Pew Research Center they held a favorable view of Russia. The survey was conducted among 11,116 respondents between April and May. Pew did not reveal the survey’s overall margin of error. Rossotrudnichestvo did not return a request for comment by the time of publication. Perhaps the most successful iteration of Russia’s charm offensive thus far was the 2005 establishment of RT, a global television network that currently broadcasts in English, Spanish and Arabic. RT claims to have a 2015 budget of $275 million. A decade since its establishment, the channel has emerged as a force to be reckoned with in the eyes of Western governments and institutions, who view the network as among the Russian state’s most powerful weapons — one that could pose an international threat if not adequately contained. According to Tatyana Stanovaya, a leading analyst at Moscow-based think tank the Center of Political Technologies, the reason Russia’s soft power policy has failed is because it unwaveringly pushes against the tide of popular sentiment. The U.S. Department of State will host the sixth annual EducationUSA Forum, June 30 - July 2, in Washington, D.C. to support international higher education, which is a top ten service sector export for the U.S. economy. More than 575 university representatives from the United States and more than 60 EducationUSA regional educational experts and advisers from around the world will discuss ways to attract international students to U.S. campuses and increase the number of American students who study abroad. International education supports a strong economy by providing students with the knowledge and skills needed to compete and collaborate in the global workforce. The EducationUSA Forum connects U.S. institutions with EducationUSA advising centers overseas to develop comprehensive and innovative strategies for recruiting, retaining, and engaging international students on U.S. campuses. Sessions will focus on virtual recruiting strategies, promoting access to U.S. higher education through digital resources, and the importance of including an inclusive, diverse population of international students. Participants will also discuss emerging trends in student mobility research, foreign government scholarships, community college outreach, and ways to assist international students experiencing crises. The U.S. Department of State’s EducationUSA advising network includes more than 400 advising centers in 170 countries around the world that provide international students with accurate, comprehensive, and current information about study opportunities in the United States. EducationUSA advisers promote U.S. higher education to international students, guiding them through the “Five Steps to U.S. Study” – from finding a school, to applying for a U.S. visa, to preparing for academic life on a U.S. campus. Follow the conversation on Twitter at #EdUSAForum. Sessions open for press coverage can be found here. Interested press must RSVP to attend at ECA-Press@state.gov or (202) 632-6452.
via PVB on Facebook; some additional thoughts on the social media at (a), (b). — Students at Texas A and M came up with a website idea called The Funny Militant, which would run jihadi-centric parodies, including a hilarious app for finding a jihadi bride and one called Who’s Your Bagdaddy? The Gaza-ruling Palestinian terrorist group Hamas has launched a new English-language website in an attempt to shore up its public diplomacy efforts. “We have launched our English website because we believe that communication matters,” the jihadi group said on its Twitter page. “And because we value your opinions and cherish diversity, we have also added a contact button,” the terror entity wrote in another tweet, adding a smiley face emoticon at the end of the message. On its website, Hamas describes itself as dedicated to “resisting the Israeli occupation as well as liberating the Palestinian land…” Its “main goal” is not to serve the citizens of Gaza, but to resist the “Israeli occupation,” the website states. “Hamas exercises democracy inside its institutions,” the website’s “about us” category claims. However, Hamas has refused to hold elections since the group came to power by a three percent margin in 2006 elections. The terror group’s most recent attempt at english-language engagement follows prior efforts that turned out to be epic failures. In March, Hamas started a campaign using the hashtag #AskHamas, encouraging Twitter users to ask questions of the Gaza-ruling group. What followed was largely a plethora of sarcastic tweets. One such user wrote recently, “#AskHamas have you met your human shield quota for 2015 yet?” Another sarcastically asked, “#AskHamas Do you import the Israeli flags you burn, or do you manufacture them yourselves?” A user with a more serious inquiry asked of the group, “why do you use children to fight for you,” while posting a picture of a child-soldier holding a gun. Meanwhile, the group continues to oversee the launching of rockets into Israel’s sovereign territory. On Wednesday, a rocket was fired from Gaza into Israel, provoking a response from the Israeli Air Force. There is nothing terribly complicated about Joanne Brooks, she simply decides what she wants, goes out and gets it. These words were written in 1998 by Rosemary Stone, then Fashion Editor of the Express, when she interviewed Brooks as a high flyer in the competitive commercial world of luxury retail fashion in London, where she worked for and managed brands such as Ralph Lauren, Chanel, Gucci, Cleo, Fendi, Pucci and Dolce and Gabbana to name only a few. “These words are as relevant today as they were to me in 1998,” says Brooks with a huge smile. VICE PRESIDENT BIDEN: Mr. Secretary, thanks for letting us in your house. I appreciate being able to be here. And with Secretary Lew, I just say to our Chinese friends, I notice you looking at the Secretary on crutches and our Secretary of Commerce on crutches – it’s a difficult job in Washington. (Laughter.) We play it very – Hank Paulson can tell you it’s a very tough place right now. And I just want you to understand that and why – that’s why they’re so committed to this relationship. VICE PREMIER LIU: (Via interpreter) ... Ladies and gentlemen, dear friends, the Consultation on People-to-People Exchange together with political mutual trust and business ties are intertwined and reinforcing each other. They form the three major pillars of China-U.S. relations. Since 2010 when the CPE mechanism was established, China and the United States have held five rounds of consultations and achieved nearly 300 concrete deliverables. I’m happy to see that the people-to-people exchange between our two countries today has expanded to cover more areas, as Vice President Biden said – that the CPE from four major areas add to the first round of the consultation now covers seven areas, and this time we’ll add public health into the dynamics. We have now involved multiple stakeholders, and it is shortening the distance between people of our two countries and increased mutual trust and friendship. And this mechanism is now showing its increasingly unique charm and important role and has forcefully promoted steady and sound growth of China-U.S. relations. As we say in China, even a thousand-story tower starts from piles of earth, and in today’s world we’re living in a global village and countries have become a community of common destiny and intertwined interests. The building of the new model of major country relations not only needs efforts from politicians and diplomats, but more importantly, understanding and support from our people, especially those at the grassroot level. The theme of the CPE this year is exchanges, mutual learning for win-win cooperation. Our two countries will reach a series of practical and concrete outcomes in education, science and technology, culture, sports, women, youth, and health. We are looking forward to working together with the U.S. side to build more platforms for mutual understanding of our two peoples and create conditions for mutual learning between civilizations from East and West, so that hundred millions of students, scientists, artists, and people from different walks of life, including our women and young people, to feel and share the joy of exchanges and harvests so that this new model of major country relations of China and the United States will have greater warmth, resilience, depth, and breadth. 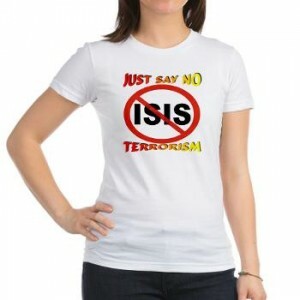 Now, we are aware – obviously, and both speakers have already referenced this – that we will not agree on all issues. No nations agree on every issue. But we do not accept that a narrowing of the differences is beyond our reach. The dialogue between those who already see eye to eye is not a particularly interesting or necessary dialogue. But the discussion that – a discussion that merely restates longstanding positions becomes pretty sterile. That’s not what we’re looking for here. We’re not satisfied with simply maintaining the status quo. Our relationship is dynamic and it has grown and matured steadily in the past decades, and most notably in recent years. We each have a stake in continuing that momentum. Vice-Premier Liu Yandong would like to see more American students study in China. "Right now, there's a deep imbalance, and we hope that there will be more American students in China," she said. Liu spoke during a plenary session of the China-U.S. 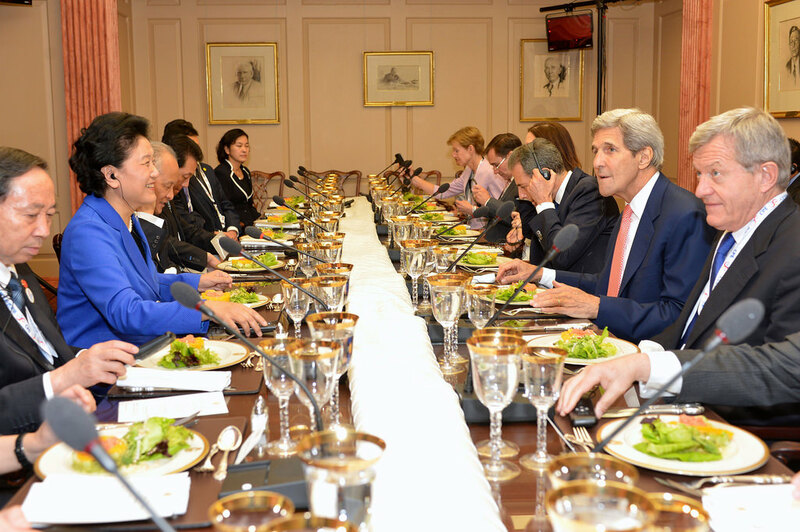 High-Level Consultation on People-to-People Exchange (CPE) on Wednesday in Washington. For the first time, the CPE is happening in the same city as the China-U.S. Strategic and Economic Dialogue. 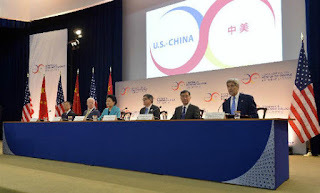 "We're proud of the strength of these exchanges, but we think there's more to be done," said U.S. Deputy Secretary of State Tony Blinken, adding that there are only about 14,000 American students in China, but close to 275,000 Chinese students in the United States. Blinken said that the partnerships formed at this round of CPE will encourage more cross-cultural study abroad. 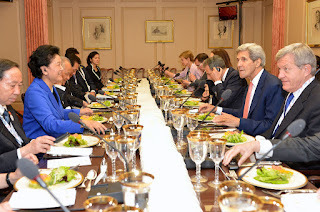 Liu, co-chair on the CPE with Secretary of State John Kerry, said that the exchange of students is "our priority". China will launch a new initiative that will award 10,000 Chinese students with scholarships to study in the U.S. The two sides have implemented 104 deliverables on education during this CPE, according to Liu. Also on the education front, the nations announced that universities in both countries have signed Memorandums of Understanding to increase collaboration in research, with a higher-education meeting being planned for later this year. A network of 42 historically black colleges in the U.S. is announcing the formation of a U.S.-China university scholarship alliance, which will enable 1,000 U.S. students to study in China with support from the Chinese government. Hanban, officially known as the Chinese National Office for Teaching Chinese as a Foreign Language, will lead a delegation of students from the Hispanic Association of Colleges and Universities to study in China as well. 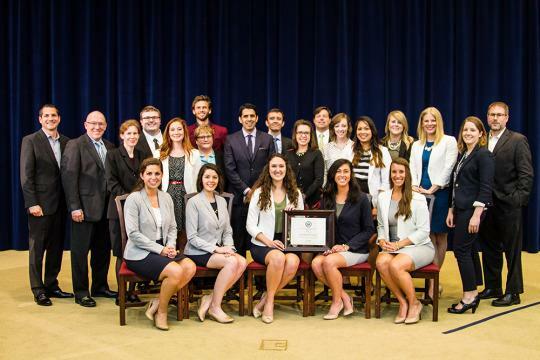 "Involvement and understanding are what people-to-people exchanges are all about — learning about each other's traditions, appreciating each other's cultures and concerns, worldviews and perspectives, and ultimately, if all goes well, understanding each other and generating trust that enables partnership," Blinken said. The story of U.S.-China relations "has the potential to be one of genuine accomplishment. There is literally no limit to its possibilities," he said. "That's good for the United States, and that's good for China. The CPE is an investment, and it's an investment that I'm convinced will continue to pay dividends for all of us." On sports, there will be new exchanges between athletes, which will include fencing training camps in both countries, and sports exchanges in volleyball, snowboarding, water polo and basketball, according to Richard Stengel, undersecretary of state for public diplomacy and affairs. In 2016, the Beijing Sport University will cooperate with Springfield College's third sports symposium, he said. The two countries also will cooperate on the arts, including on a joint film project currently being filmed in China by acclaimed director Zhang Yimou, starring American actor Matt Damon. The film is the largest film entirely shot in China, and will "connect people and foster mutual understanding", Stengel said. Zhang said via video during the session that film will give viewers a "window into new places that they may have never seen before". On health issues, Liu recounted China and the U.S.' cooperation during the outbreak of the Ebola virus in west Africa. The two countries shared real-time information and technological guidelines and standards when China's teams arrived in Liberia. "These touching stories and fruitful results demonstrated the passion of people from different walks of life, revealed the charm of the CPE, and injected vitality into the China-U.S. relationship," she said. Liu said that seeing all the productive outcomes of the CPE made her even "more confident of the prospect" of the exchanges that the two countries have engaged in, and she said she believes that the magnitude and depth of cooperation between the two countries is unprecedented. "More than 30 years ago, China's reform began, and so did normalization of relations," Liu said. "In the coming 30 years, China will strive to meet its goals of building a harmonious modern country. We will make sure that Chinese people will have better living conditions so they will live happier lives. The Chinese dream is about peaceful development and win-win cooperation, which is closely related to the American dream." Liu said that "for China and the U.S., respecting each other, pursuing win-win cooperation, and (the) building of new model relations will not only bring benefits to two people but will contribute to world peace. China will only open wider to the outside world, and China's environment will become fairer, more transparent and predictable." Costing P28 million to build courtesy of a Chinese NGO, the new Chinatown landmark greets visitors at the foot of Jones Bridge. An ornate, P28-million (S$833,809) arch courtesy of Chinese donors was inaugurated in Manila on Tuesday afternoon to mark the city's 444th founding anniversary, in an occasion that saw calls for a peaceful resolution to maritime and diplomatic tensions between the Philippines and China. 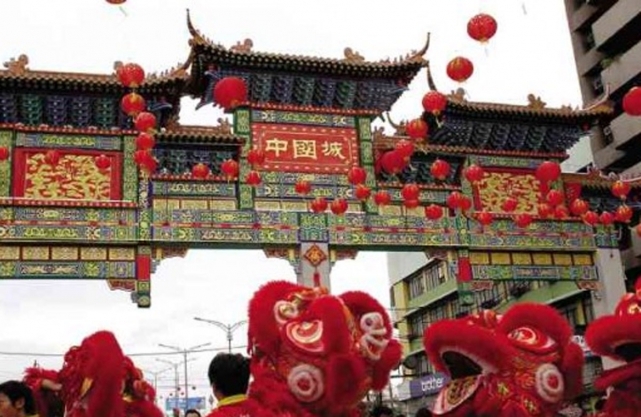 Gracing the rites, Chinese Ambassador Zhao Jianhua said the new gate to Manila's Chinatown "will be a new milestone in developing Filipino-Chinese relationships in the future." He said this "maritime highway''-first broached by Chinese President Xi Jinping in a 2013 speech in Indonesia-was "aimed at opening up regional connectivity and cooperation with other countries at a high level. The Philippines, of course, is included here." Zhao also highlighted the celebration this year of the 40th anniversary of diplomatic ties between China and the Philippines, as well as the 25 sister city partnerships between local governments in both countries. In his response, Manila Mayor Joseph Estrada thanked China and hailed the arch as a symbol of its enduring ties with the country. But speaking to reporters later, he brought up the territorial disputes in the West Philippine Sea. "Let's be honest with ourselves; we can't fight China," he added. According to Manila Councilor Bernardito Ang, the new arch located at the foot of Jones Bridge is the biggest in any Chinatown worldwide. Measuring 63.8 feet high and 74 feet wide, the structure is about 4 feet taller than the welcome arch in the Chinatown area of Washington DC. The arch was built through a US$650,000 (S$833,809) grant from China Energy Fund, a nongovernment think tank focusing on energy research and public diplomacy. In Stockholm in January 1945, an assembly of Swedish diplomats and businessmen initiated an organisation that was to improve the country’s reputation abroad. The new, semi-governmental Swedish Institute was charged with explaining Sweden’s policy of neutrality during the war, encouraging peace-building, and promoting foreign trade in the new international world order. But how was all this to be achieved? In this book, historian Nikolas Glover analyses the policies, funding and national narratives of the Swedish Institute. He provides a historical perspective on the politics of promoting Swedish culture abroad, and on how ideas of communication shaped the Institute’s work and its representations of Sweden. 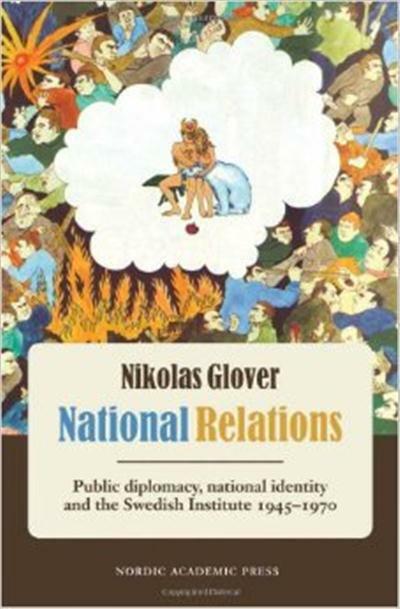 His wide-ranging analysis addresses the specific conditions of small-state public diplomacy: the influential domestic interests involved as well as the global context that dictated the ways in which claims to national uniqueness were framed. Former Israeli Ambassador to the US, Knesset Member Michael Oren has raised a major storm from the remarks he made concerning President Barack Obama. 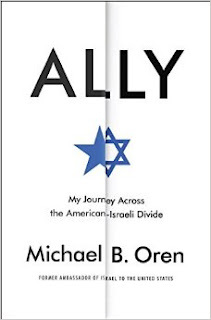 The remarks were made in a series of op-ed pieces he wrote in various major media in preparation for his equally controversial book, Ally, which also contains many sections pertaining to the president. Loud self-assertion is often considered to be a way to strengthen public diplomacy, but if such an assertion is not accepted by the counterparties, it becomes meaningless. In this respect, the Prime Minister’s address has been evaluated as one that stated what needed to be stated in accordance with the discourse in the United States. In essence, like diplomacy, public diplomacy have no end either. It is expected that by taking advantage of the horizon that the Prime Minister’s address has explored, and by striving to exert synergies through appropriate actions both in Japan and overseas, new opportunities for public diplomacy will be created continually. First Lady Michelle Obama was in Milan, Italy last week for the World Expo, a six-month public diplomacy mega-event that brings together more than 140 countries from around the world. The theme for Expo Milan 2015 is "Food: Feeding the Planet, Energy for Life," a topic that resonates with the First Lady's Let's Move campaign, an initiative that promotes healthy living and nutrition for Americans. While in Milan, the First Lady visited the U.S. Pavilion, "American Food 2.0: United to Feed the Planet," where she spoke about the successes of the Let's Move initiative, and discussed what the United States could learn from other countries, "because no matter where we live, we all want healthy, nutritious foods for our families." Expo Milan 2015 began in May and will continue through October. For more articles, videos and photos that explore the public diplomacy dimensions of World Expos, click here. 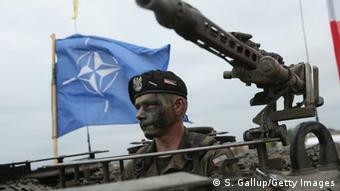 NATO has upgraded its readiness to confront battlefield threats, but public-diplomacy failings could hobble quick deployments. Teri Schulz reports from Brussels. 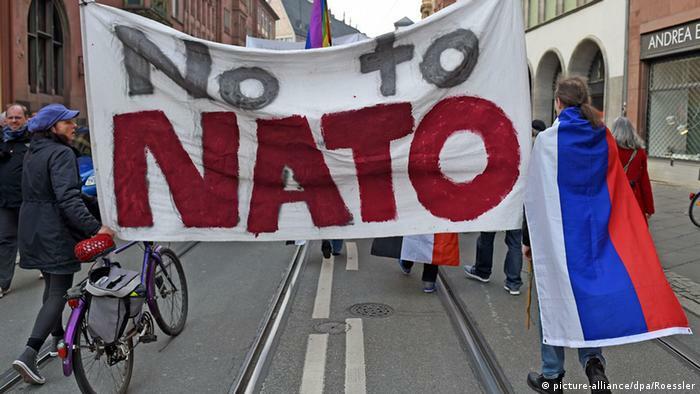 ... NATO leaders must acknowledge that, as much work as they've put into reinforcing solidarity within the structures of the alliance, they need to address a massive solidarity problem among their publics, especially with military deployments in some countries dependent on parliamentary approval, a.k.a. : public support. Visiting some of the series of exercises throughout the Baltics and Poland, NATO Secretary General Jens Stoltenberg declared them a "strong expression of the commitment of all allies to protect each other … the core task of NATO." "It's all for one and one for all," Stoltenberg told the press assembled to watch Noble Jump in Zagan, Poland. Asked about the apparent lack of public support for collective defense, Stoltenberg said "of course there will be different political discussion in different allied countries, but the commitment is there, it's strong and it's once again confirmed by the alliance by the implementation of the Readiness Action Plan," of which the spearhead force is a component. [A]s disappointing as the numbers may be to NATO leaders, it's important to know what needs to be done in terms of public awareness. "One of the reasons we do these surveys is to hopefully inform the public policy process," he added. "The fact we've stirred the pot here a bit is a very good thing." Three Russian television stations interviewed Andrei Petkov from a hospital bed in Nikolaev, Ukraine, in April 2014. Rossia 1 described him, with a bandage on his nose, as an ordinary citizenattacked by neo-Nazis and nationalists. 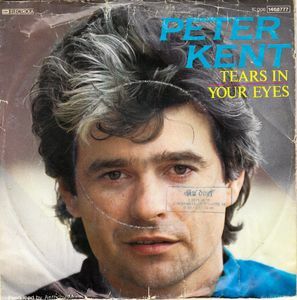 NTV called him a German spy for a secret European organization. And the National Independent News of Crimea identified him as a pediatric surgeon who had saved the lives of more than 200 infants before getting caught in the crossfire. Similarly, Russian TV has interviewed the same blond woman as a native of five different cities in Ukraine. She has been a housewife, the mother of a soldier and an exile living in Russia. In 2014, Russian state TV showed a video depicting the murder of a pro-Russian fighter in eastern Ukraine by nationalists. But the video was a fabrication; it was made in the North Caucasus in 2012. The lies on Russian TV have become so numerous and egregious that one news outlet compiled a list of Russia's top 100 lies about Ukraine. Russian propaganda, sometimes comically inept by Western standards, wants to convince the Russian public, Russian-speaking populations in Crimea and the Donbass, and elites in Western Europe that it's right about Ukraine. They are the targets of Russian President Vladimir Putin's "weaponization of propaganda," according to Russian author Peter Pomerantsev and his colleague Michael Weiss. Its primary international outlet is RT (formerly Russia Today), a Kremlin-financed cable news network resembling CNN or Fox News that reaches 644 million viewers in Arabic, English and Spanish. Its message is remarkably consistent, and predictably boring: Putin is a strong leader who is protecting ethnic Russians from sinister Western forces. "We're something along the lines of Russia's Information Defense Ministry," RT employees told Spiegel Online. In addition to RT, the news agency has created seven YouTube channels aimed at specific countries and linguistic areas: RT America, RT UK, RT France, RT Spanish, RT Russian, RT German and RT Arabic. Researchers at the George Washington University reviewed RT videos posted for a month in 2015 and found that 27 percent of videos on RT's main channel highlighted Russia's views on Ukraine. On RT German, 43 percent of its videos centered on Ukraine. RT Russia posted 34 percent of its videos on Ukraine, and these videos received 52 percent of views. RT also owns the Ruptly video news agency in Berlin. According to Ruptly newscaster Ivan Rodionov, the agency has 14 subscribers and over 200 customers, including public and private German broadcasters. The agency offers almost exclusively videos that are favorable toward pro-Russian supporters of the People's Republic of Donetsk. The propaganda can be heavy-handed. Russians are told that Ukrainian nationalists shot down Malaysia Airlines Flight MH17 and that the Kiev government is composed of neo-Nazis. Putin has repeatedly denied that Russian soldiers are fighting in Ukraine, despite a growing number of reports of secret funerals and prisoners of war turning up in Kiev hospitals. Even if Russian television can be crude and propagandistic, it shapes opinion in Russia. Only 3 percent of Russians get their news on Ukraine from domestic television networks. Only 3 percent of Russians believe Donbass separatists shot down Flight MH17. And Russian speakers who live outside the country rely on Russian television. In Estonia, where there is a large Russian-speaking minority, 72 percent of non-Estonians prefer Russian television, and this is reflected in their views. About two weeks after Flight MH17 crashed, 38 percent of non-Estonians living in Estonia told pollsters that the Ukrainian government was responsible. One can understand Putin's desire to maintain domestic support in Russia and to build support for his efforts in the killing fields of Ukraine. His goal in Europe is more elusive but of higher strategic importance. "Putin's ultimate objective is to fracture NATO," Chairman of the Joint Chiefs of Staff Martin E. Dempsey said. His words were echoed by Vice President Joseph Biden, who said Putin was seeking "to create cracks in the European body politic which he can then exploit." To halt Putin's ideological offensive, European policymakers have begun to beef up their public diplomacy efforts. Denmark is offering broadcast rights to popular television crime dramas that can be dubbed into Russian, Germany is providing Russian-language news and documentaries, and U.S. diplomats are reaching out to Hollywood. Estonia will launch a new Russian-language channel with 20 hours of original programming a week in September. In the United States, however, supporters of Radio Free Europe/Radio Liberty are fending off funding cuts. As the Cold War experience demonstrated, news programs from this venerable outlet reach decision makers and other elites. The West should also take advantage of already existing commercial outlets with worldwide distribution, such as CNN and Sky News. With cutbacks of their own, these broadcasters could use video feeds and experts that expose Russian lies. The truth will set you free, if you actually broadcast the truth. James J. Coyle is a research fellow at the Atlantic Council and the director of global education at Chapman University. This article first appeared on the Atlantic Council site.